How to find a cycle insurance that’s worthy of your trust? 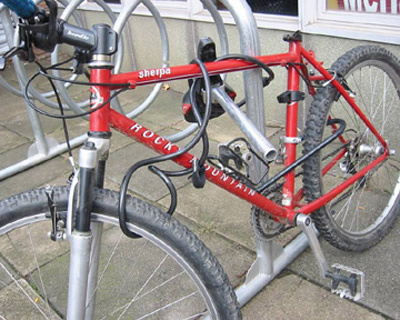 Reports can be blinding, but even if you are ready to treat a report as half truth, you will find many documents that report the average occurrence of bicycle thefts at 3 per hour! Not surprisingly, it’s easy to remember at least one person from your social circle who has lost a bicycle at some point. 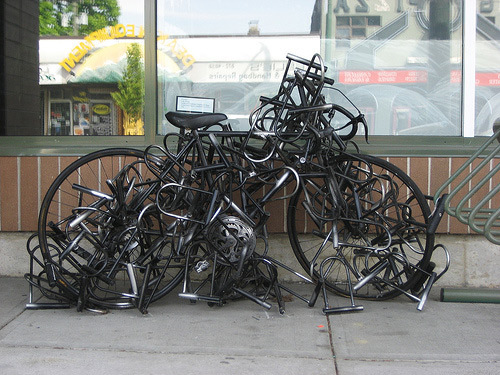 Cycle accidents and thefts are too common, giving you a lot to worry about. Thankfully, you have the option of cycle insurance policies that cover you from the several problems that cycle accidents and damages can lead to. Having made up your mind about purchasing insurance for your bicycle, it’s now time that you learned some tips and tricks that can help you find the perfect cycle insurance product. An insurance policy that extends to your bicycles? The market for cycle insurance products is witnessing rapid innovation, and you might not be too far away from home insurance policies that also cover your bicycles and extend lots of benefits. Such an insurance policy can help policy holders enjoy less complexity and more peace of mind. Moreover, cycles are integral parts of the lives of all those who love them, much like their homes. In fact, the front porch or the backyard might look alien to a few unless they see their beloved bicycles safely parked there. So, extended home insurance covers certainly auger well for such passionate cycling enthusiasts. Watch out for the cycle insurance products that New Insurance for Cyclists has in plan, ready to be unleashed into the markets really soon. Ask a lot of questions – When an agent throws marketing material at you, dodge all of it and pose some stern questions. If the cycle insurance company pitching a product to you is actually good, it will have the answers. Is the bike covered when it’s not at home? Does accidental damage cover include property damage? Is theft included in the coverage? What if you’re in a different country, riding the same bike? Your questions must be relevant to the kind of use you put your bicycle to. For instance, you might want to focus your questions upon the accidental coverage aspect more than overseas coverage unless you are a bicycle tourist who often visits foreign countries. Whereas those super special and wide grip tires might be the flesh and bones of your bicycle for you, the insurance company might consider them beyond the realms of coverage under the policy. It is imperative that when you hunt for the right cycle insurance policy, every trivial detail about the bicycle and your using habits must be considered before you sign the plan agreement. Another important issue you need to be aware about is the reparability and the replacement of your bicycle parts. As a dedicated cyclist, you might not want to go ahead with a policy that wants you to get your damaged tires repaired instead of replaced! The perfect cycle insurance cover is not too far away from you; something special is on its way from YellowJersey.co.uk to set the cycle insurance market abuzz.